Imagine growing up and never having birthday cake. Or going to a friend’s house but you can’t touch the baked goods. And as an adult, you feel left out because everyone is noshing on cupcakes at the Sip ‘N See but you. That is how people with food allergies and sensitivities feel before they know there is a bakery devoted strictly to those nuances. Paula Dempsey opened up Dempsey Bakery eight years ago because of her family’s diagnoses with gluten-sensitivity and other issues. Dempsey Bakery, at 4th and Cross Street near the State Capitol, is a foodie’s paradise. Because even if you have zero sensitivity to nuts, wheat, soy, sugar and/or eggs, the food is so good. 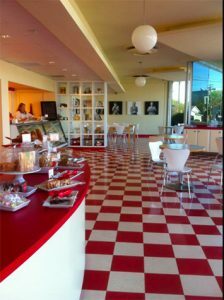 There are picture-perfect cookies and baked goods including breads and cakes every day at Dempsey Bakery. Many people want to steer clear of those items for other health reasons, which is why Dempsey Bakery was just named the 6th Best Gluten-Free Restaurant in the country by readers of www.meandgfree.com. 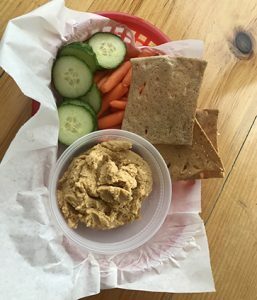 Tasty hummus and cracker bread! There are many mixes to choose from if you want to whip up your own baked goods that are gluten-free, since gluten-free baking is such a challenge. I’m a home chef, and I have not conquered the difficult task of using gluten-free substitutes. If and when I need them, I ring up Dempsey Bakery or go online to order at www.dempseybakery.com. The bakery is closed Sundays and Mondays, but pop in today if you choose. I recommend the soup and sandwich combo. The black bean soup is so good. Combine it with the Reuben. What people don’t realize about food sensitivities is that this isn’t a passing fad. Many people will get ill –very ill – if they eat certain foods with gluten, nuts, soy or dairy. This bakery is a great place to satisfy your sweet tooth or lunch palate. There are frozen pie crusts and meals to take home as well. And the staff will work with your unique requests. 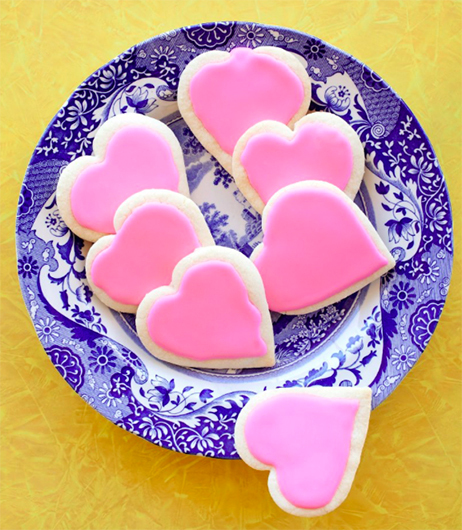 Set your DVR to KARK-TV on Wednesday, February 13, at 4 p.m., to see Paula walk through the bakery with me and show you some of the goodies you can get for Valentine’s Day. You will never know these things are different from traditional bakeries when you take a bite of one of the delicacies that Dempsey Bakery offers.